Are fitness games worth more than the calories burned plugging in the Wii Balance Board? The slew of exercise games released with the Wii Balance Board as a peripheral were supposed to revolutionize fitness. No longer would exercise be a passive, boring timesink. Instead being healthy and fit would now be as fun as playing a videogame, something gamers desperately needed in lieu of all the bad press stating we were a fat, depressed bunch. One gamer set out to see just how effective these games were in reducing the waistline and making us more fit. In Issue 227 of The Escapist, Craig Owens takes us through two weeks on a diet of exercise games, with varying success. This got me thinking about the problem with virtual trainers in general: There's no shame. Whenever I turned up at the gym having missed a couple of sessions, or whenever I failed to reach my goals, my personal trainer, the terrifyingly well-built "Cliff," would look at me with a well-honed gaze of thinly veiled disgust. And it worked - which is why companies like Weight Watchers have built whole business models around the hot and needling sting of public embarrassment. But whenever my new digital trainers tell me, with unwavering digital accuracy, that today's food intake is "a bit above your daily recommended amount!," I can just switch the prying bastards off. They don't even remember it the next time. Have you seen any benefit from using exercise games as a virtual trainer? 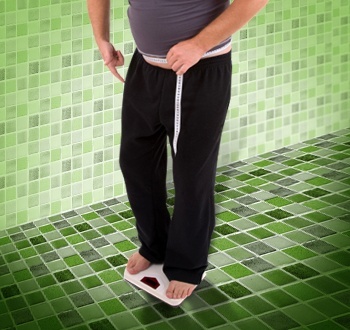 Take a gander at Gamer-Size Me and tell us your stories of gaming fitness or failure.